Manitoba is switching to “single envelope” or block funding of Child and Family Services authorities instead of making per-child payments, the province says. 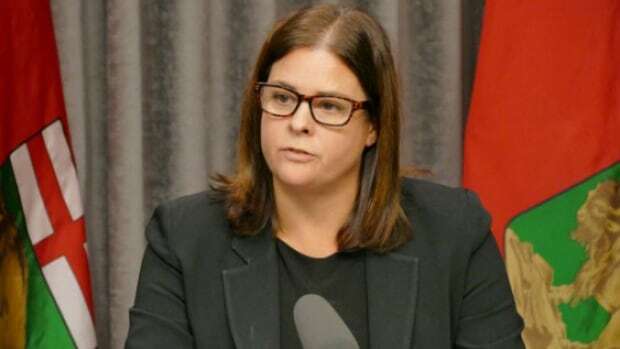 Under the new system, the four authorities that oversee Manitoba’s Child and Family Services agencies will get a total of $435 million — which includes the federal children’s special allowance — in 2019-20, Families Minister Heather Stefanson said. The four CFS authorities will decide how to allocate the money to the 24 child welfare agencies that deliver services to children and families. They will retain the federal children’s special allowance, distributed by Ottawa to provincial organizations that care for children, Stefanson said, as part of the $435 million promised for 2019-20. Manitoba has been criticized in the past for compelling agencies to give that money to the provincial government, which called it a “duplication” of its funding. Stefanson said the block funding will be given under a three-year agreement that will provide predictability and independence to authorities and agencies, allowing them to direct funds toward prevention and early intervention as well as children who are in the care of CFS. “It’s more autonomy for the authorities to decide where the money goes and how they spend that money,” Stefanson said Monday. A block funding pilot project launched in 2017 has been criticized by agency and authority leaders who said it would result in a funding deficit for participating agencies. Stefanson dismissed that concern Monday. “This should result in more funds being available for authorities within the CFS system,” she said. More than 10,700 children were in care in Manitoba as of March 31, 2018. Almost 90 per cent are Indigenous. The province has the highest per-capita rate of children in care in Canada and apprehends about one newborn a day. The current per-child funding model means most agencies get funding based on the number of children in care and the number of days they are in care. The provincial government says that system incentivizes apprehensions in order to provide services. Details of the new, “single envelope” model have yet to be ironed out, Stefanson said, including how much money will go to each of the province’s four authorities: the First Nations of Manitoba CFS Authority, the General Authority, the Metis CFS Authority and the Southern First Nations Network of Care. Federal changes are also in the works that would shift control of child welfare services from the provinces to Indigenous governments, in an effort to bring down the number of Indigenous children in foster care. Stefanson said the province is already working toward handing more control to the authorities in charge. “We work in a system that is devolved already,” she said.